As Vice President, Products and Strategy at BlackBerry's QNX Software Systems, Grant is responsible for managing the company’s global product portfolio and strategy for the automotive and general embedded markets. Grant has over 25 years of experience in the embedded industry and is a recognized leader and spokesperson for connected and autonomous car technology and trends. 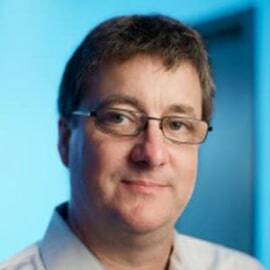 In his 20+ years with QNX, he has held a variety of leadership roles in engineering, marketing and services. Grant also serves as a member of the Advisory Board for the Ontario Center of Excellence Autonomous Vehicle Innovation Network (OCE AVIN) and is a member of the Invest Ottawa Global Expansion committee.